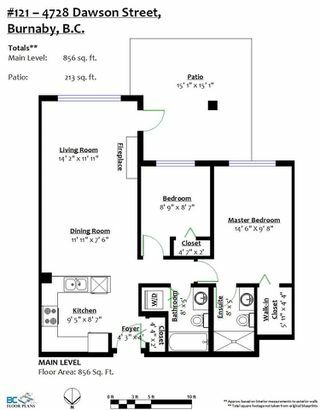 ATTN: INVESTORS, 1ST TIME BUYERS and UP-SIZERS! 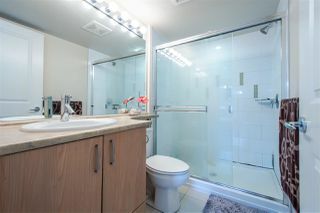 RENTALS OK and PETS OK! Here is your chance to own a very unique 856 sqft, 2 BED 2 FULL BATH, south facing ground level home that backs onto a greenbelt! BRIGHT, PRIVATE AND QUIET! 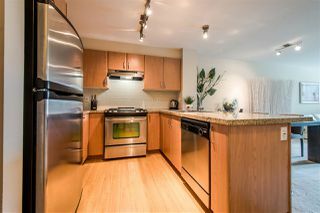 Granite counter tops, gas range, S/S appls. 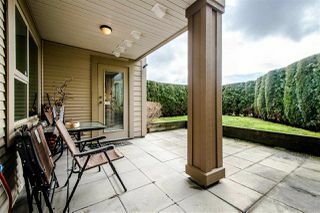 Enjoy your huge private 213 sqft patio with a private hedge-fenced yard providing tons of additional outdoor space. 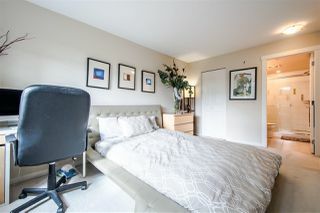 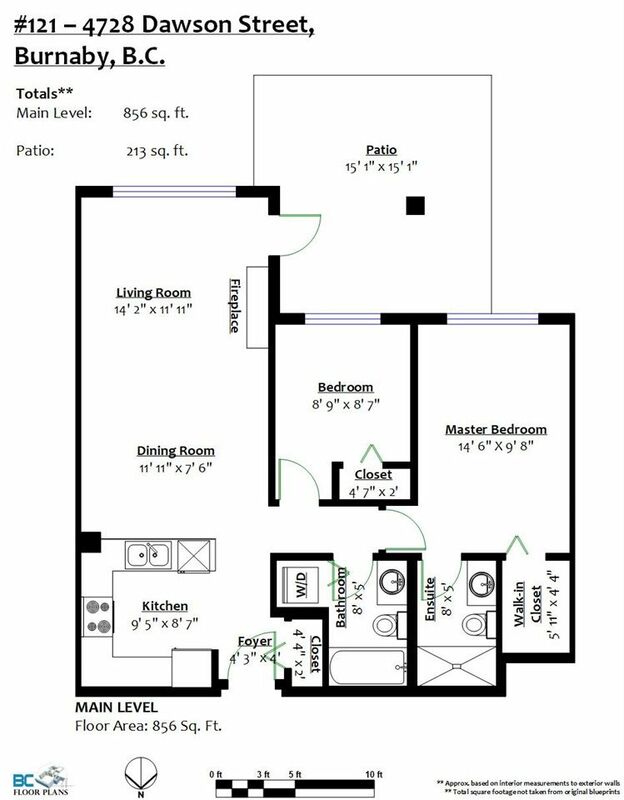 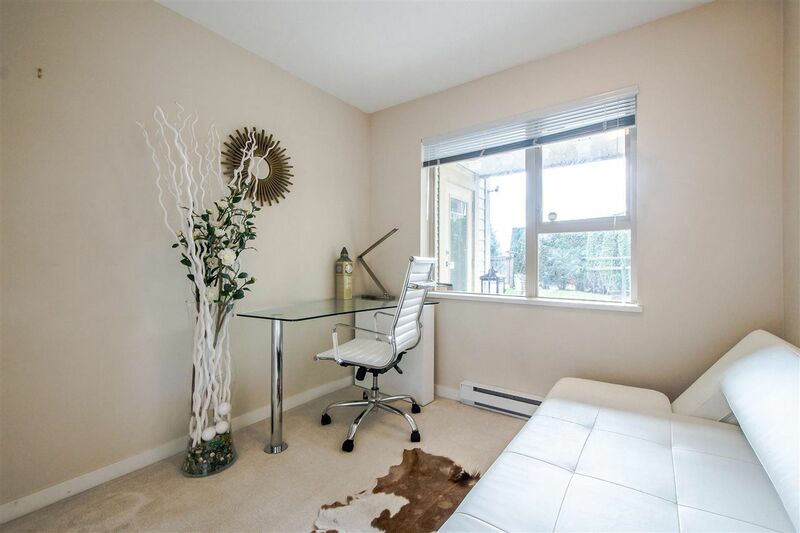 Spacious master bedroom with walk-in closet and ensuite. 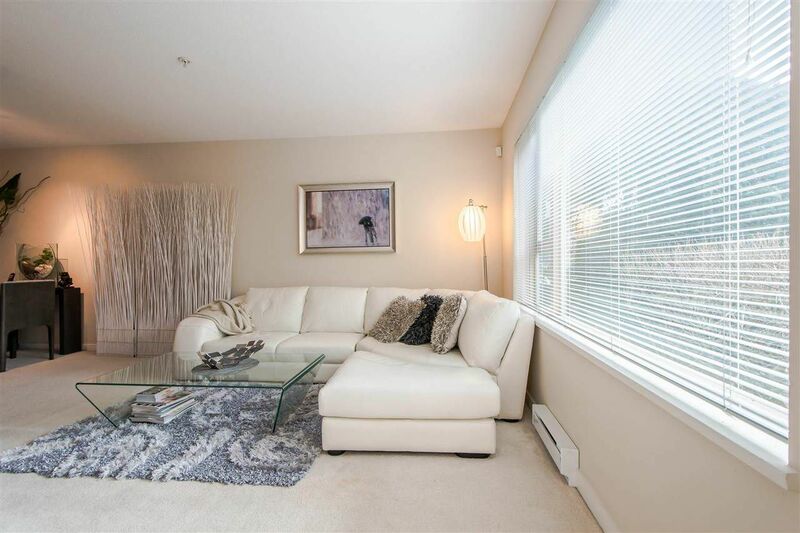 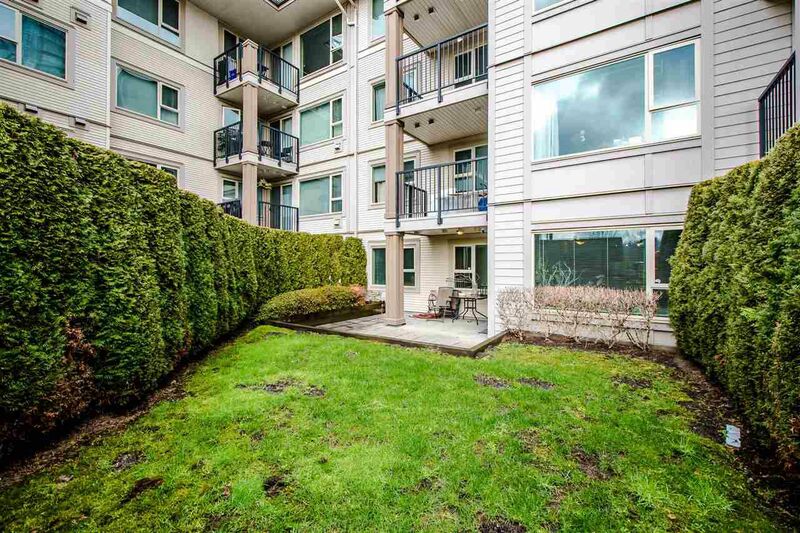 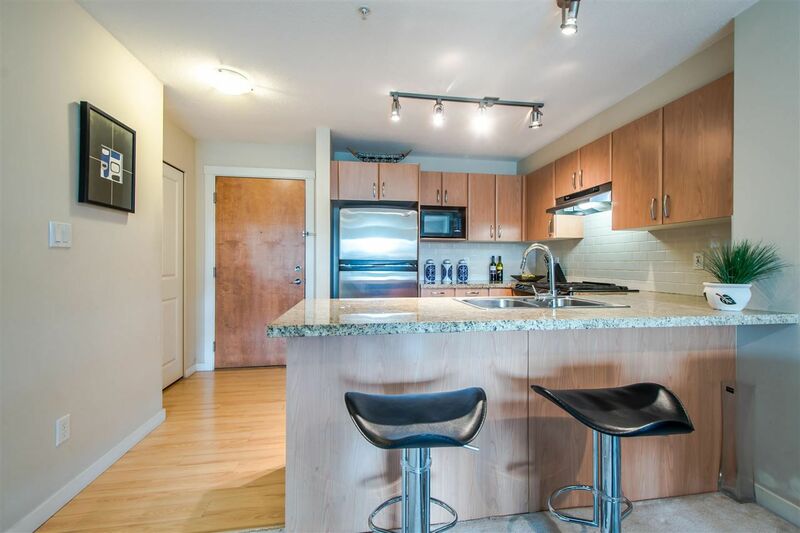 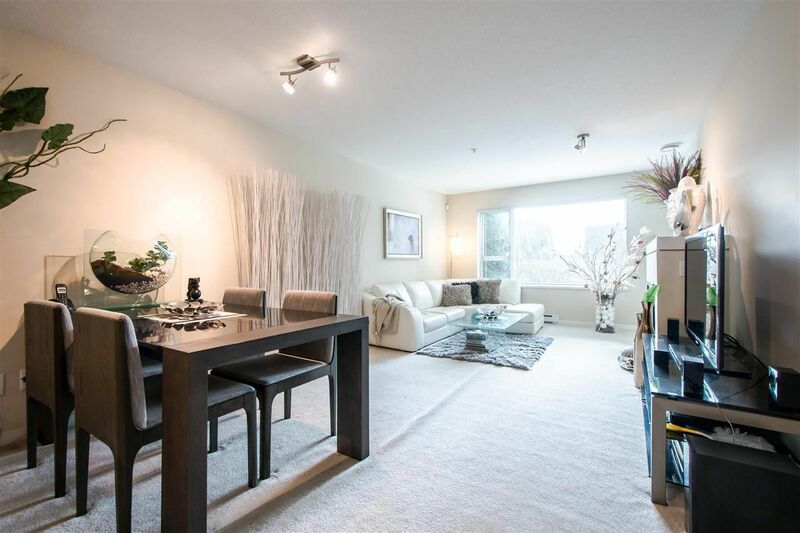 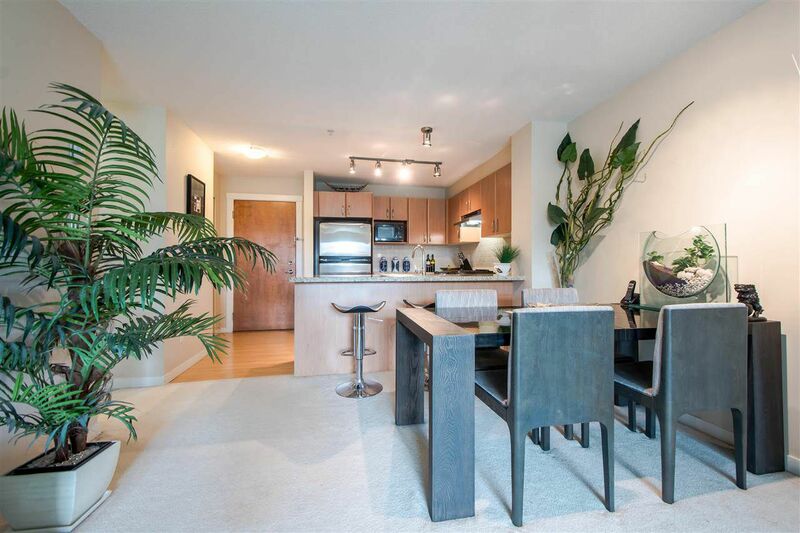 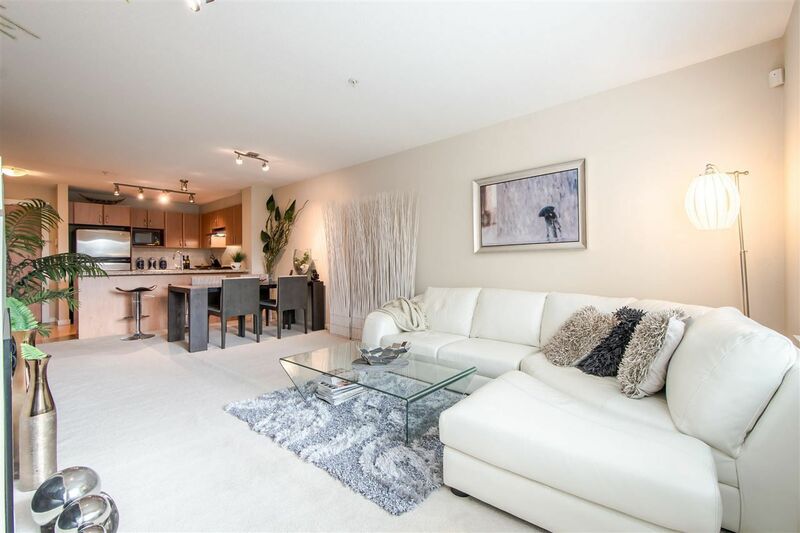 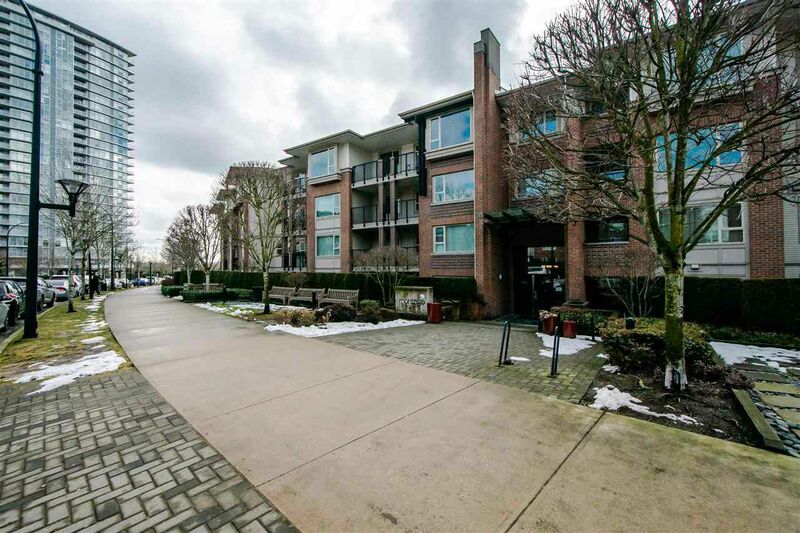 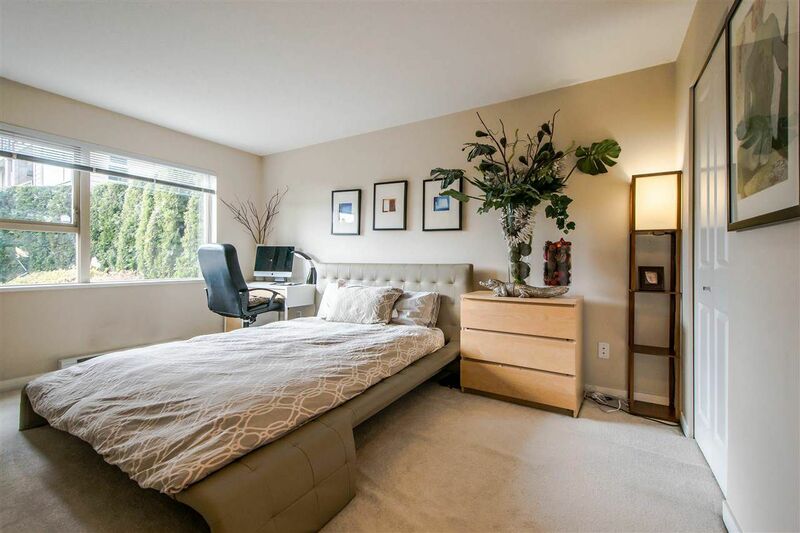 Functional plan in a super desirable and convenient location - walking distance to Brentwood Skytrain, the New Brentwood, schools, parks, shopping, amenities, etc. 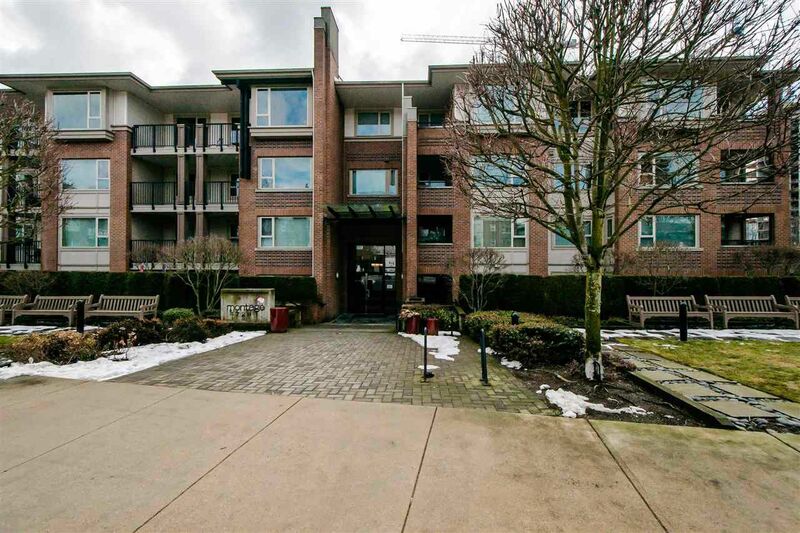 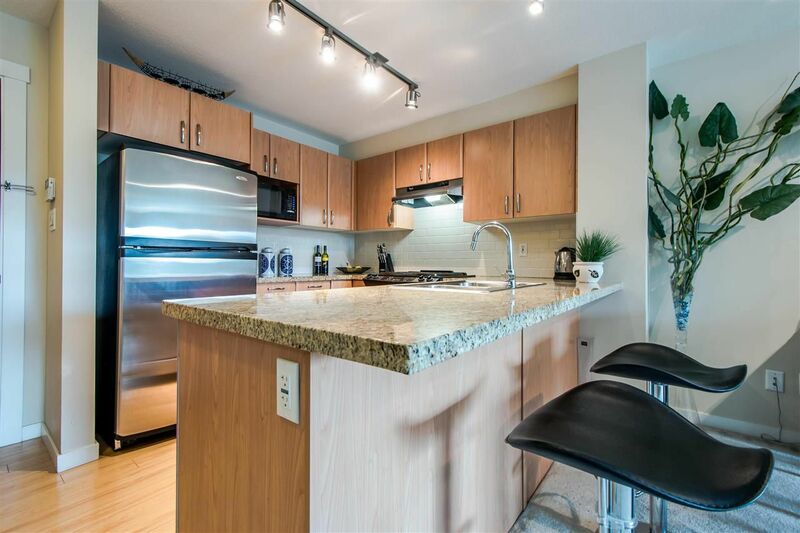 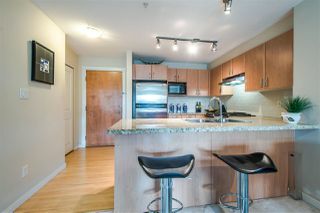 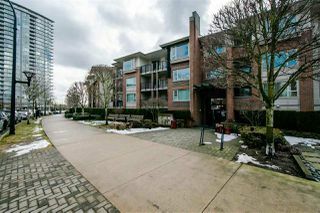 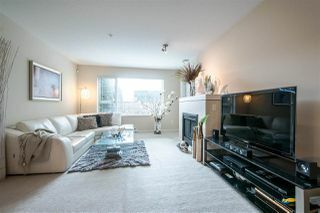 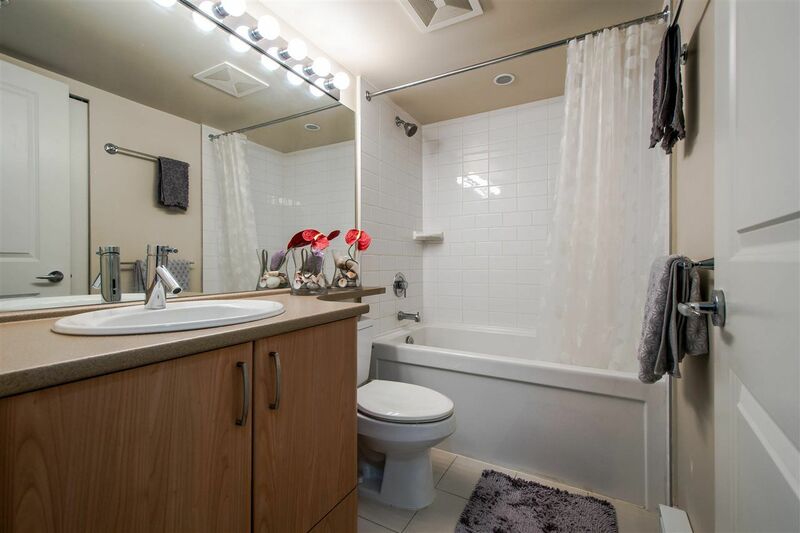 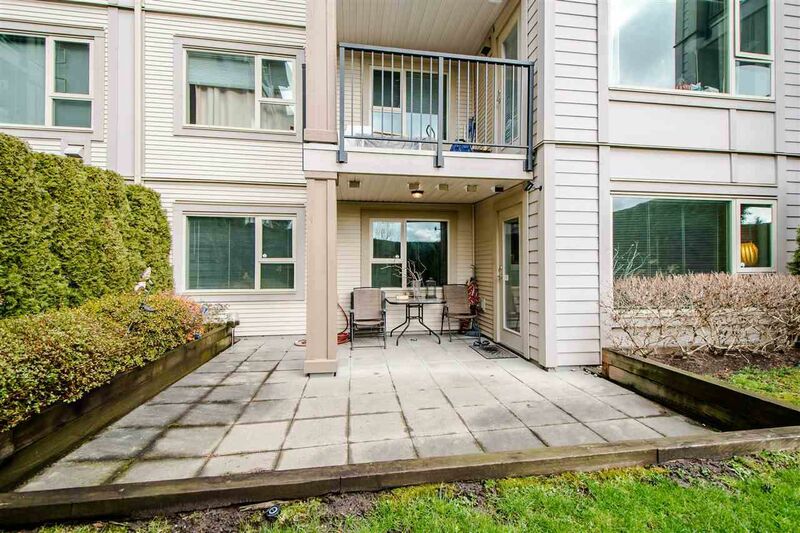 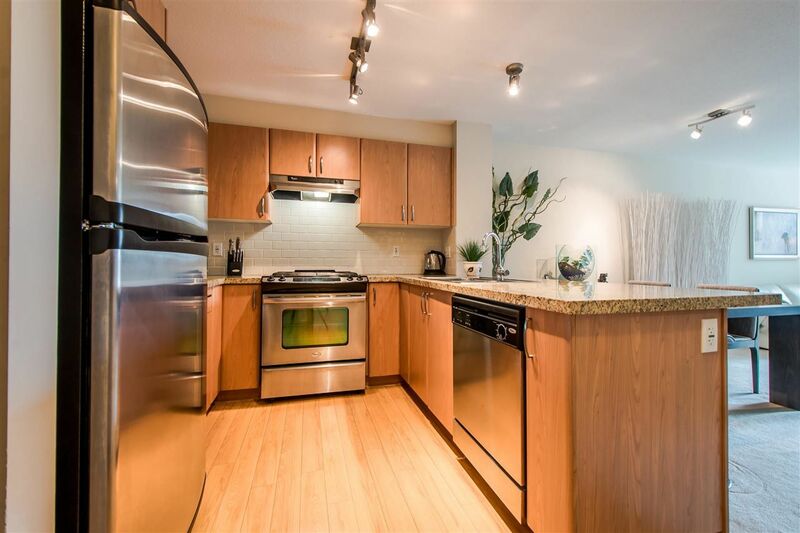 Well maintained complex with a nice gym, a proactive strata, healthy CRF, a Depreciation Report and low strata fees! 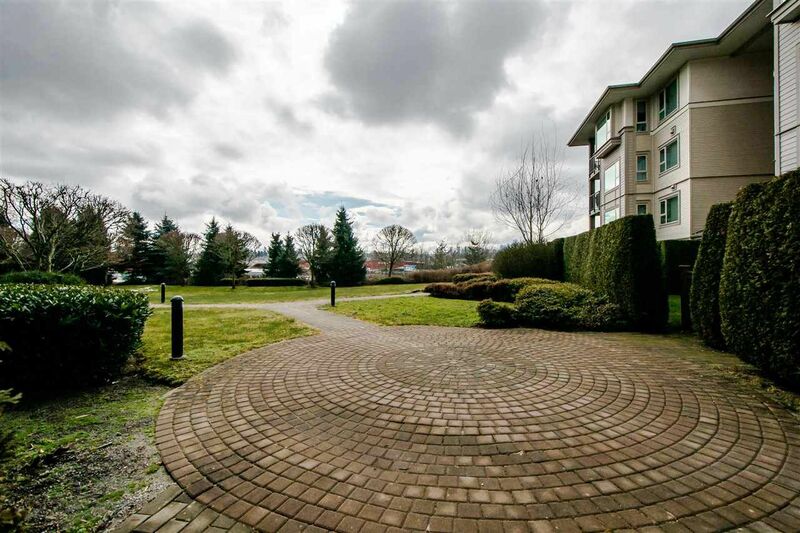 One parking and a big storage locker! Open Sunday March 31, 2:00-4:00. 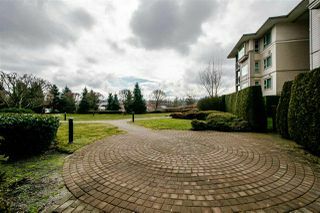 Greenbelt right outside your yard!